Spark your child’s imagination and curiosity! 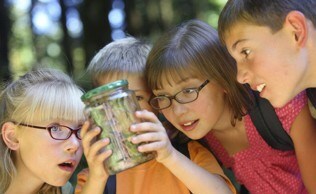 Mad Science captivates the children’s attention with an abundance of enthusiasm and humor. The thrilling, fast-paced, high energy science presentations will dazzle the whole family with true edutainment. Fascinating science programs equipped with fun and exciting hands-on activities that are ideal for both indoor, outdoor activities and carnival type events. Children can get slimed, make putty, Create super-science bouncy balls, build periscopes and lots more! Plus they can even make cotton candy! 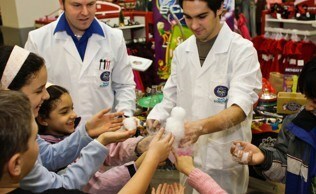 Fun Science Recreational Services, is the registered Master license holder of Mad Science for the UAE. Member of Sheik Mohamed Bin Rashid Est for Young Leaders and Supported and Endorsed by “Tomouh Program” (Emirates Bank) for small local enterprises and won Best Innovative services for the year 2007 from Sheik Hamdan Bin Rashid. - To educate during free time. - To reinforce and expand upon scientific concepts. 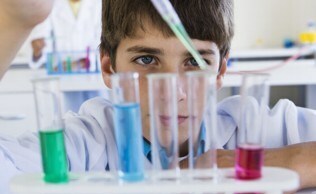 - To encourage the innate scientific curiosity. 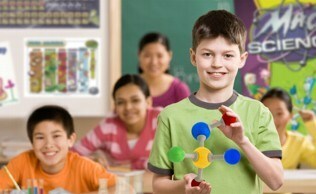 - To make children's participation in science something common on a daily basis. 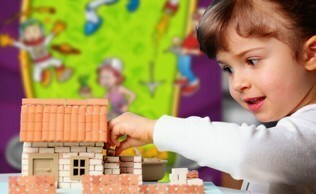 - It advocates the children's motivation, self-esteem and integration. oriented towards science in the future. that they learn just while "having fun". 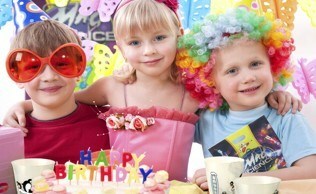 - It offers to parents and educators new forms of entertainment and education.